Morocco is a magical country with so much to see and explore. From the breezy, Atlantic beaches and shoreline to the green countryside along the High Atlas Mountains to the arid, mountains and sand dunes of the Sahara Desert. The Sahara Desert is one of our favourite places to visit with our clients. On our Desert tour we can completely customise a tour which can include all the desert sites and attractions you want to experience. 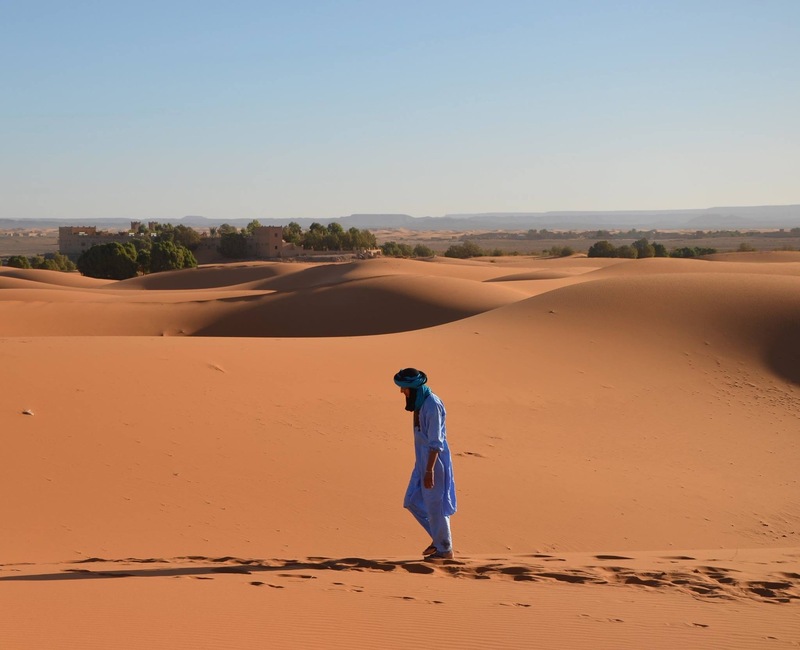 Our Desert tours can take you through the paths that lead to either the grand sand dunes of Merzouga or down to M’hamid. Our tours will begin from any of the major airports you choose to fly into (Casablanca, Marrakech, Rabat, Fes, Tangier) and then we will set off to rural pastures. You can choose to explore some Berber villages along the High Atlas mountains or spend some time in the hustle and bustle of Marrakech before passing through to Ouarzazate. Ouarzazate is a major central location on the way to either of the grand sand dunes. 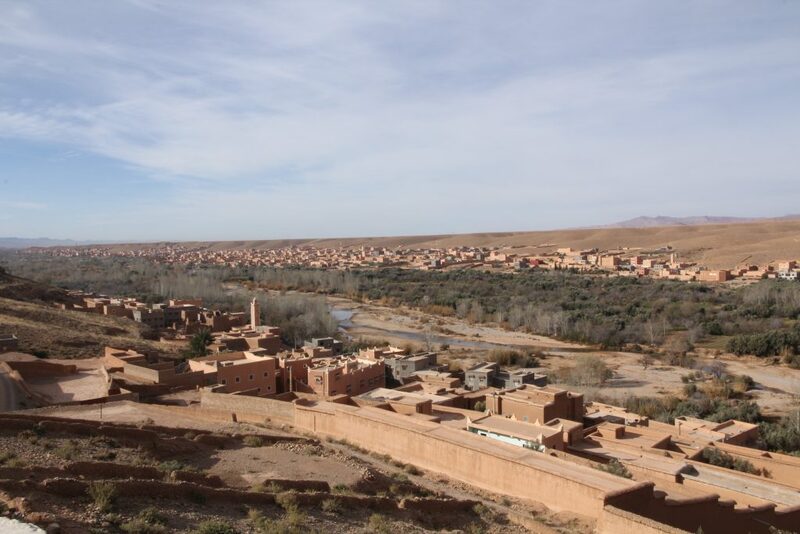 Also, Ouarzazate is known as the Hollywood of Morocco as provides the ideal desert and arid mountain landscape to set films like Gladiator, Ben Hur, and the most watched HBO series Game of Thrones. Other notable locations we can pass through are Kelaa Megouna, also known as the Valley of Roses, which is where most of the fragrant roses in the country are harvested once a year for their large Rose festival; Also we can pass through the town of Tinghir and the Gorges Dades, both right next to each other. Tinghir’s is a larger town that features traditional Moroccan desert homes made of hay and mud and its horizon is marked by the mountains and palm trees. The Gorges Dades is a gorge which has some of the most dangerous roads to drive through but are a site to see. As you can see, we could go on for days about what you can do and see while you’re in Morocco. Send our team an email at roamingcamelsmorocco@gmail.com if you’re ready to start planning one of our high-rated desert tours. If you prefer to speak to someone directly then you call Mustapha on +212 6 61 05 36 23 or Kathi on +212 06 81 92 05 97. We can’t wait to meet you in Morocco! 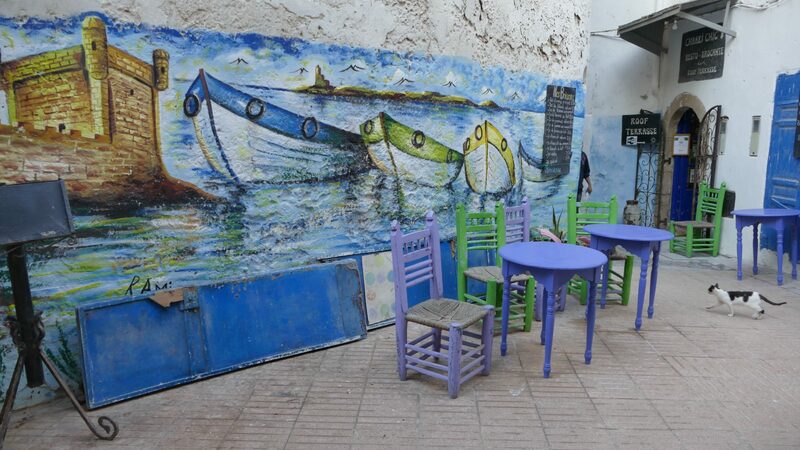 Prev PostNeed A Morocco Travel Agency? We’re Here!